"had to buy another ticket"
Not Verified | Los Angeles to Quito via Mexico City. Horrible rates when changing flights. $200 change fee is a little high plus air fare change. Basically had to buy another whole ticket. I always have used American Airlines and I will be returning. ✅ Trip Verified | Vancouver to Merida via Mexico City. It have never experienced a worst customer service anywhere. We booked a Business Class flight to Merida from Vancouver and it was uneventful, it was not bad but was not good. Mediocre food and mediocre customer service. On our way back is when it became a nightmare we had a 2 hour delay due a mechanical problem in our plane, we had to connect in Mexico City and after running with bags and cases to the gate 15 minutes before the plane will took off. The lady at the gate did not want to let us in (we were still in time to board), they were many passengers in our delayed flight and was actually fault of Aeromexico, but she say nobody inform her about the delay. She simply didn't want to help or even call a superior to help, she was rude and completely careless. She send us to another stand to make changes in our flight and we got one flight but in Economy, even they had seats in Business Class. They didn't offer absolutely any compensation or apology for the now 8 hours delay in the flight. Then at home, we called and emailed many several times for many hours and months where we have dealt with so many different people and phone numbers, they just refuse to compensate the delay and the downgrade on our tickets as it was our fault. They offered a ridiculous upgrade with a code where you have to call a special number and that only apply to specific flights and so on, practically an offer you cannot claim. I feel scammed and robbed, we pay for a service and they didn't provide it and they simply refuse to reimburse what we pay, or the difference of it. I have flown many times and with many different airlines and I have never experience a completely lack of empathy of the customer service personnel. It's almost as if Aeromexico sees customers as a threat, forgetting we are paying a service that they seem unable to provide. If you can avoid it, then choose another airline. Aeromexico will make sure you have a horrible travel experience. ✅ Trip Verified | Guadalajara to Sacramento. The most insanely terrible customer service Ive ever experienced. Check in nightmare, even with priority status. The man at desk was new and had no information, going back to get approval from his supervisor for everything, who never came out of his office to help. Spent 30 minutes checking in and arguing over bag fees they wanted to charge. They didn't end up charging because they were wrong, but it was like talking to a wall, and took 35 minutes, just to to properly check my bags. The plane was old, no power outlets. The flight attendants were nice but service terrible. Boarding sucked, buses, so on. But its really about the service. Every time I check in at Aeromexico I feel like the employee sees the customer as some sort of existential threat. There seems to be no understanding that this is a purchased service. I dont know how this Delta partnership can work. ✅ Trip Verified | London to San Jose via Mexico city. 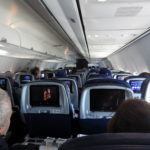 Before flight i read a lot bad reviews about Aeromexico but price was very good. Ground service was good, they give all answers to all my questions. The flight service as well was wonderfull. Flight from mexico to san jose (costa rica) was same. Plane was little bit old but that no problem. 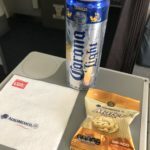 I highly recommend fly with Aeromexico. ✅ Trip Verified | Mexico City to Austin. This is the worst airline. They will work to make you miss your connection, and force you to re-buy your ticket. You would be better off walking. Over a month later I still shudder to remember flying with them. Constant stress and extortion. They should be permanently grounded. Not Verified | London to San Jose via Mexico City. We chose the airline due to the lower than competitors price point (which was still not cheap). Both flights left without delays as scheduled. My partner had actually forgotten a valuable item on one of the flights and we were lucky it was handed in by the crew to Lost and Found office at the airport after the flight had landed. Many thanks for that! 3 out of 5 is for the comfort - on both flights the seats were broken (not reclining) and taken it was a 10 hours flight it was very uncomfortable. Online entertainment is ok but not as good as other companies. Also would be great to see more reusable cups than single-use plastic. "just wanted to change our return"
Not Verified | Where to start... The booking part of the flight was fine and easy. After that it was a nightmare. We boarded our flight in Moncton and where delayed due to problems with the plan therefor we missed our connection flight we where stuck in Toronto airport with 3 kids searching for our luggage for 5 long hrs. After that we where told we would have to wait until Friday to get a flight and get to Mexico. No compensation for hotels food or lost luggage they finally got us a flight Wednesday night to Calgary and told us there was a flight Thursday morning to Mexico and once we got to Calgary go to the agent and book it with them. Once we arrived in Calgary there was no flights again until Friday and we had to Find a hotel for 5 people and get there and wait till Friday. Which means we have lost 2 days of our vacation. We were told in Toronto Calgary would be able to help with compensation of hotels once we got there NOT TRUE. once we and the 3 kids where settled in our hotel I started contacting Aeromexico where I was told we could change our return dates with no charge and she put me on hold then there was no one when I called back I was told not possible and to contact west jet. West would not do anything and told me to call Aeromexico and they said no should have got the first agent to change the dates and this new agent would not do it and said he didn’t feel it was necessary. I tried explaining he was being unfair and the first agent said she would and that we where protected. However he wouldn’t. So I contacted red tag and delt with an agent who told me no problem to change our return dates so we could have our full time she said she needed to call me back however never did. So then I ran out of time and we left for Mexico. Once I got there and dealt with our hotel which we where two days late for ans still has to pay for those days along with our hotels when we where stuck in airports. I was told there was nothing anyone could do. I feel cheated I paid for a family vacation and not only did I not get to spend the week with my children on the beach I spent 2 days in airports and hotels. Had to pay for 4 hotel rooms 2 in Canada and the 2 in Mexico. And was told nothing anyone will do. I didn’t think I was asking for a lot I just wanted to change our return date by 2 days and was told it was no problem. There has been nothing done as of yet. "don't care about the customer"
✅ Trip Verified | Toronto to San Pedro via Mexico. 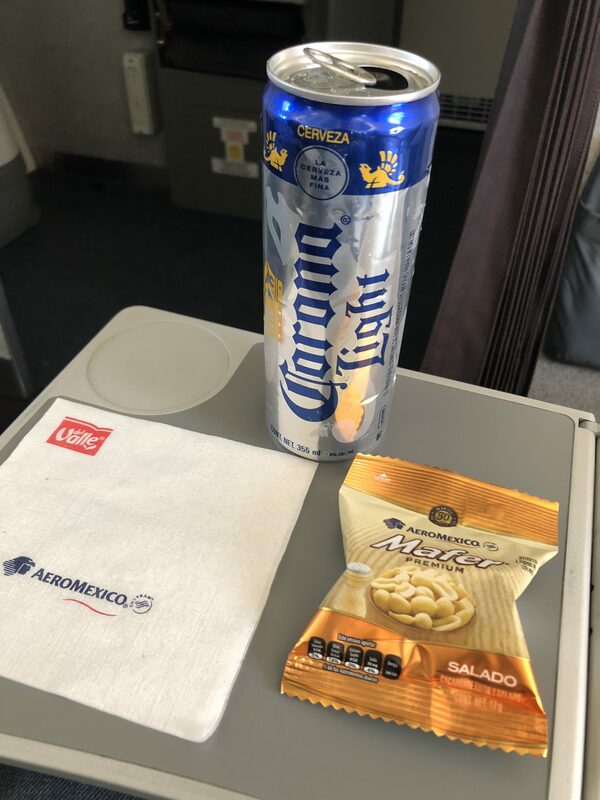 Do not travel with Aeromexico! My husband and I planned this vacation for 5 days in Honduras, where we have friends and since we bought the tickets through an agency we never were told that my husband needed a special permit to get into Honduras due to his nationality. When the date comes we get to the airport and the girl who checked us in never mentioned or asked us about this permit when checking our documentation. She only asked us for our USA visa and our Canadian visa which we had. After we get to Mexico City and the same thing happened. Nobody told us about this permit even though they knew about the final destination was Honduras. When we got to Honduras the Migration agent didn’t let us in as my husband didn’t have this permit. So we went to claim the airline for letting us get to that point without notifying us what we needed when checking our documentation and all we received was a very bad attitude, unprofessional and disrespectful like we owe them something. The information we got from every single person that we talked to was inconsistent and they kept avoiding responsibility and telling us that it was migration fault to not let us in. Which is ridiculous. Another guy at Mexico City told us that the airline was not responsible to ask the passengers Or check if their travel documentation were in order. We have traveled around the world and the first thing the airline ask for is your visa or permit in order to let you get into the plane. Anyway, They gave us a return ticket to Mexico but didn’t give us a connection ticket from Mexico to Toronto, and when we asked for it they would through the responsibility to other members a part from that they didn't give us time to even communicate to our friends who were waiting for us on the other side. After that we realized that they assigned us separate seats and when we asked to help us getting two seats together they got angry at us like it was our fault. staff not helpful or even interested to be accommodative. The story keeps going on. After all my husband and I found a common factor of this company Aeromexico don't care about the customer, all they care about is our money. Garbage Service! ✅ Trip Verified | New York to Lima via Mexico City. The worst experience of my life. They are totally inflexible, the treatment to the client is terrible, inhuman. I made a 3-day trip to Peru for the death of a family member and on my return to NY they did not let me board the flight because I did not have an American residency letter in process. I had to take 4 extra days and pay almost $ 600 for the letter from the embassy, ​​which told me that this happened only because of the REGULATIONS OF THE AIRLINE. After this I tried to take a flight as soon as possible back to NY since I was losing many days of work, in addition to having left my 2 little children of 2 and 4 years and with whom I had many responsibilities. The airline did absolutely nothing to help me. On the contrary, they wanted to charge me $ 2000 for the change of ticket since the only available space was in premium class and that seat can not be sold "like that". Finally, due to the lack of empathy and support from Aeromexico, I had to buy another ticket in LATAM for $ 726 one way and FOR CERTAIN NEVER REQUESTED ME THE EMBASSY LETTER for which I spent 5 days doing the procedure. ES: La peor experiencia de mi vida. Son totalmente inflexibles, el trato al cliente es pésimo, inhumano. Hice un viaje de 3 días a Perú por el fallecimiento de un familiar y a mi regreso a NY no me dejaron abordar el vuelo porque no tenía una carta de residencia americana en trámite. Tuve que tomarme 4 días extra y pagar casi $600 por la carta de la embajada, la cual me dijo que esto sucedía sólo por las REGULACIONES DE LA AEROLÍNEA. Después de esto trate de sacar un vuelo lo antes posible de regreso a NY ya que estaba perdiendo muchos días de trabajo, además de haber dejado a mis 2 pequeños hijos de 2 y 4 años y con los cuales tenía muchas responsabilidades. La aerolínea no hizo absolutamente nada por ayudarme. Por el contrario, me quisieron cobrar $2000 por el cambio de boleto ya que el único espacio disponible era en premium class y ese asiento no lo pueden ceder "así nada más" . Finalmente, ante la falta de empatía y apoyo de Aeromexico tuve que comprar otro ticket en LATAM por $726 one way y POR CIERTO NI ME PIDIERON LA CARTA DE LA EMBAJADA por la cual pase 5 días haciendo el trámite. ✅ Trip Verified | Buenos Aires to London via Mexico City. 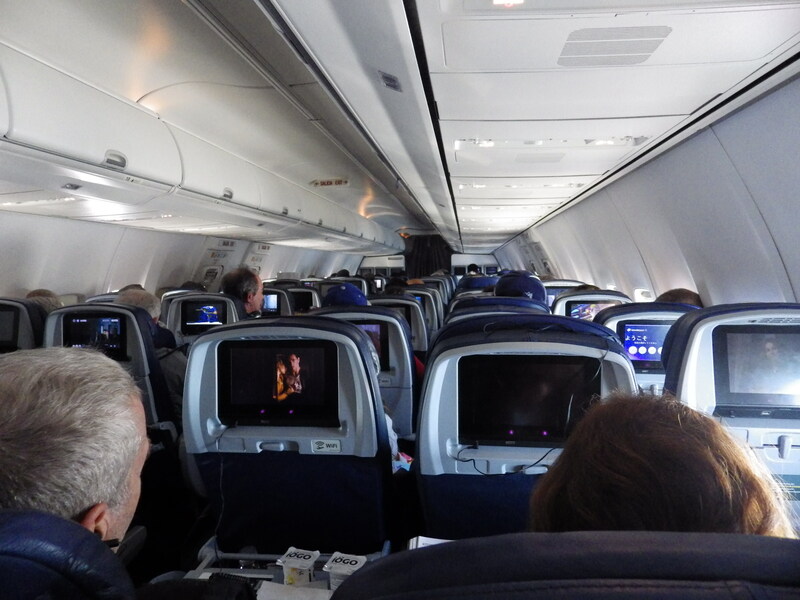 My seat and entertainment area were broken for the whole duration of the flight. We booked Premier class seats so we could have a fully reclining seat on a long flight. These tickets are 4x the price of a normal seat and are advertised as extremely comfortable, fully reclining seat and so on. Could not use any of the features Premier stands for and the upright position of the seat is stiff and uncomfortable. Their reaction was: "You need to contact customer services to get compensation, there is nothing we can do." Customer services finally got back to me and they claim and I quote: "the entertainment services inside our aircraft are considered courtesy." What do you pay so much extra for in premier class if it is all considered a courtesy? I don't even care about the entertainment, it is the seat and back support you really pay for but as it is completely electronic chances are those don't even work and you still can not lie down. At least in economy you can move the back of the seat back a little regardless if there are electronic issues! The Customer service is terrible as they don't care about anyone. You have to be lucky that even when you pay a lot of extra money you get a working seat. A gamble we are not taking again.